June 1939. Francis Dempsey and his shell-shocked brother, Michael, are on an ocean liner from Ireland bound for their brother Martin's home in New York City, having stolen a small fortune from the IRA. During the week that follows, the lives of these three brothers collide spectacularly with big-band jazz musicians, a talented but fragile heiress, a Jewish street photographer facing a return to Nazi-occupied Prague, a vengeful mob boss, and the ghosts of their own family's revolutionary past. When Tom Cronin, an erstwhile assassin forced into one last job, tracks the brothers down, their lives begin to fracture. Francis must surrender to blackmail or have his family suffer fatal consequences. Michael, lost and wandering alone, turns to Lilly Bloch, a heartsick artist, to recover his decimated memory. And Martin and his wife, Rosemary, try to salvage their marriage and, ultimately, the lives of the other Dempseys. Meanwhile, with the Depression receding, all of New York is suffused with an electric feeling of hope, caught up in the fervor of the World's Fair and eager for good times after a decade of deprivation. 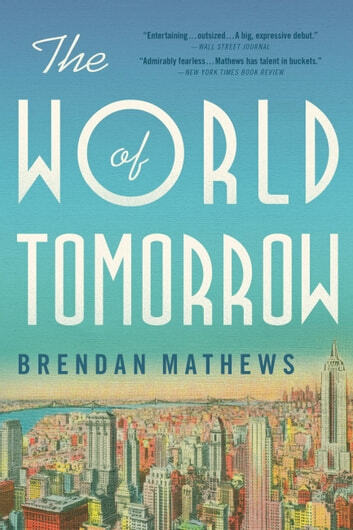 From the smoky jazz joints of Harlem to the opulent Plaza Hotel, from the garrets of vagabonds and artists in the Bowery to the backroom warrens and shadowy warehouses of mobsters in Hell's Kitchen, Brendan Mathews brings the prewar metropolis to vivid, pulsing life. 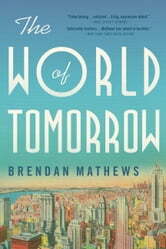 The sweeping, intricate, and ambitious storytelling throughout this remarkable debut reveals an America that blithely hoped it could avoid another catastrophic war and focus instead on the promise of the World's Fair: a peaceful, prosperous "World of Tomorrow."